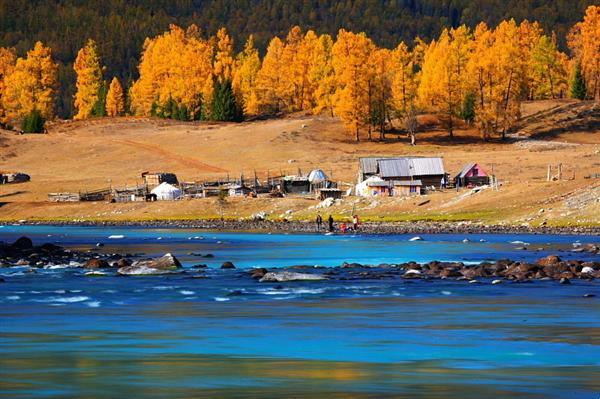 Kanas Lake, located in the valley of the Altai, China's Northwest Xinjiang Uygur Autonomous Region, is a famous natural resort. Colors of Kanas Lake vary in the different seasons and weather. Its beauty and mysterious folk tales attract many tourists. In the winter, it turns into a fantastic world of ice and snow, where visitors will find a remarkable view of crystal snow willows and frozen Kanas lake covered with thick snow. Apart from Kanas's charming and mysterious scenery, Tuwa people, a Mongolian tribe living at Kanas Lake, is a major attraction. The valiant ethnic minority is good at equestrian, skiing, and hunting. Kanas Lake and Tuwa people, integrating with each other, constitute the unique views and folks at Kanas.